No, not the newspaper, but the pub down in Putney Village – head here for a great choice of beers, ciders and real ales in rustic environs. One of London’s eight Royal Parks, Richmond Park spans 2,500 acres and offers a distant view of St Paul’s Cathedral from King Henry’s Mound. London’s largest UNESCO World Heritage Site, Kew Gardens – or Royal Botanic Gardens – hosts tours, festivals and exhibitions all-year-round. This riverside pub is the perfect spot for socialising and relaxing with a pint in hand and an order in for some hearty British food. Twickenham Stadium is the largest rugby union venue in the world, seating 82,000, and has also hosted some of the biggest names in music. Hounslow Heath is an award-winning nature reserve covering more than 200 acres, offering idyllic countryside views and wildlife spotting. Take a stroll around the rose gardens, play a game of tennis or tend an allotment at Lampton Park with its 40 acres of vast green space. For everyday needs and shopping sprees, residents of Hounslow head to The Treaty Centre for its plethora of high street retailers. Hounslow Market trades from Tuesday through to Saturday from 8am until 5pm on the high street, offering fresh produce, fashion and gifts. Previously the headquarters for American Airlines, Trinity Square is a new residential complex positioned in the heart of Hounslow’s town centre. 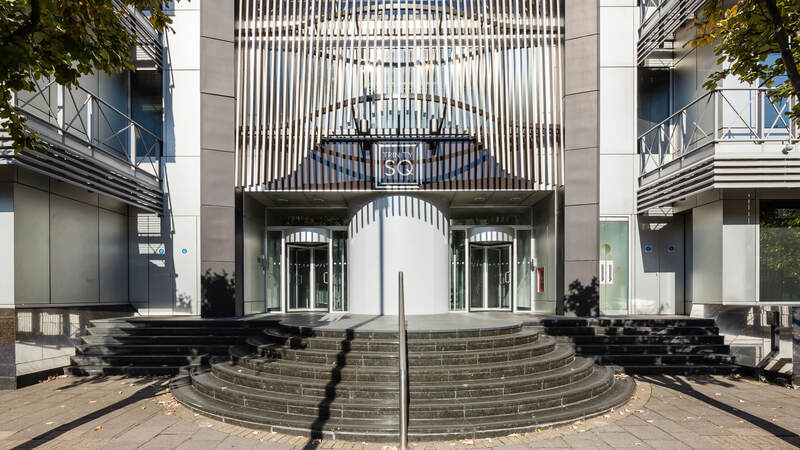 Originally built in the 1980s, Trinity Square has been extensively refurbished with state-of-the-art interiors and facilities to offer an impressive selection of studio and one bedroom apartments in a West London commuter hub. 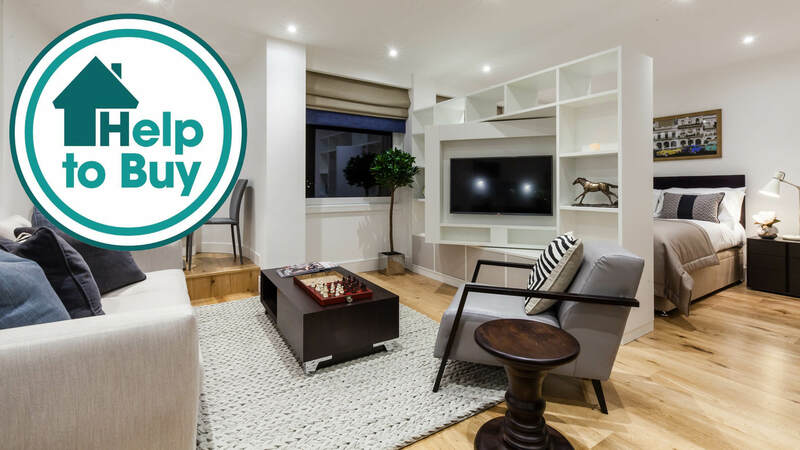 The apartments at Trinity Square enjoy an array of modern specifications, including designer kitchens with integrated electric appliances, plus dual-aspect swivel TV units with inclusive 40” flat screens to selected studios. The three apartment blocks encircle the development’s full-height central atrium, inviting copious amounts of natural light into the homes. Residents can also benefit from a daytime concierge service to cater to everyday needs. As one of London’s largest boroughs, Hounslow is home to four bustling town centres including Chiswick, Brentford and Feltham, offering a wealth of choice for shopping, dining and entertainment opportunities. The Blenheim Centre is just a 10 minute walk away and includes a gym and supermarket, whilst The Treaty Centre on Hounslow High Street, only six minutes’ walk away, features over 40 fashion and food outlets for leisure seekers and fashion addicts to explore. Residents and investors have even more to look forward to in Hounslow with vast regeneration projects on the horizon including the High Street Quarter, expected to be completed in 2020, which will see a new multiplex cinema, a new public square, plus new shops and restaurants. Hounslow’s transport network is superbly connected for city-wide, national and international travel; largely thanks to its close proximity to Heathrow Airport, which sits directly to the west of the Borough. For road users, nearby motorways include the M4, which spans from Swansea through to Chiswick; the M3, which extends from Southampton to Ashford; and the M25, the London Orbital Motorway. For train travel, residents of Trinity Square are within a 20 minute walk of three Underground stations and the town’s mainline station, which all sit within London’s Zone 4. The arrival of Crossrail at the nearby Hayes & Harlington station in 2018 will further enhance the desirability of this location, providing faster and easier access into the City and West End.